After building their original online gallery in 2012, I was hired again in 2018 to rebuild the site to make it mobile responsive, easier to edit, and easier to search. The new site uses WordPress in combination with a completely custom-built back office interface for managing artwork. 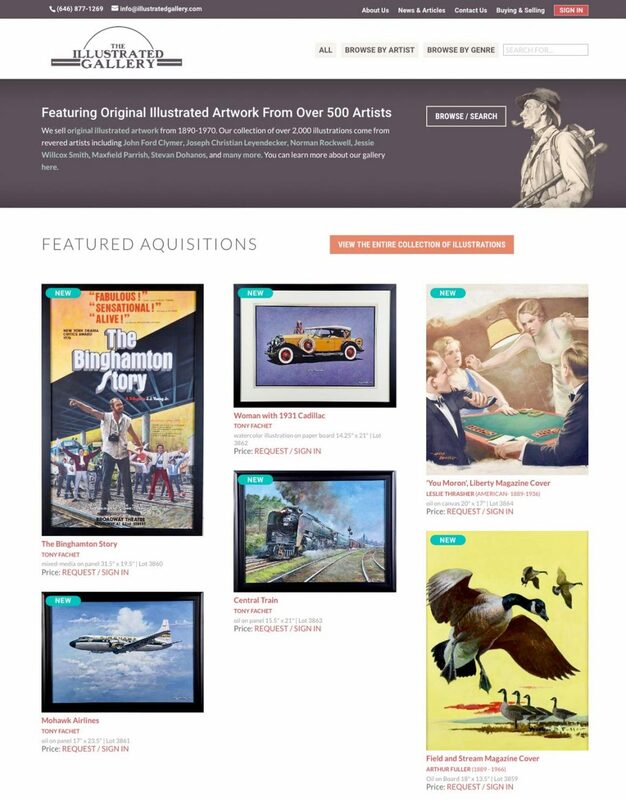 Visitors can subscribe to artists or genres to have new works they might be interested in automatically emailed to them as soon as they are added to the collection.